The German view of the First World War is, with a few notable exceptions, still largely unexplored in British publications. 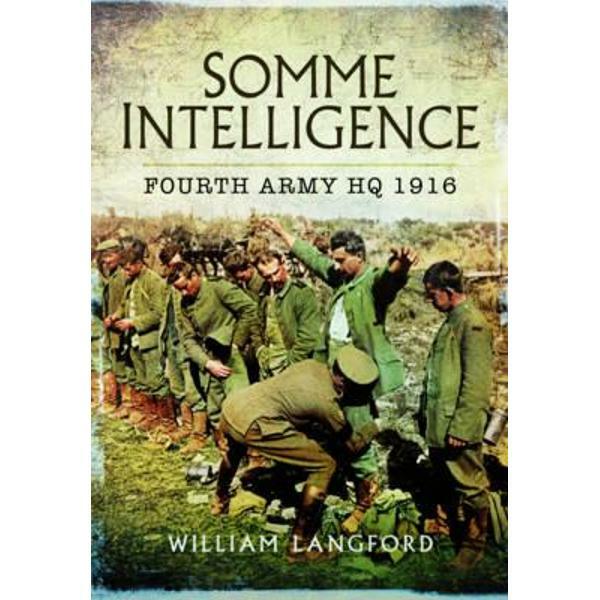 ‘Somme Intelligence’ is a title that redresses the balance slightly, but from a fairly unique perspective. Military intelligence is as old as war itself, with all sides seeking to tip the balance in their favour through the collection, interpretation and use of enemy communications, documents and information. The First World War was no different, with British Intelligence playing a proactive role in gleaning information from documents found in captured trenches and on dead bodies, and from prisoner interrogations. The basis of ‘Somme Intelligence’ is transcriptions of reports of a former soldier of the ‘Accrington Pals’, who worked on intelligence duties for Fourth Army HQ. Despite the title it covers the period leading up to the Somme offensive, as well as its duration. There is no narrative, rather after a brief introduction to the history of British intelligence the book simply presents a chronological view of German intelligence reports, captured letters (both to and from the frontline), prisoner interrogations, casualty returns, orders, and diaries. Numerous photographs are used to illustrate the text. These documents provide an interesting view of how the war was perceived by the German soldiers in the trenches and by the civilian population in Germany. Accounts of how food shortages affected Germans back home, the effect of the British preparatory bombardment for the Somme offensive, and comments on the progress of the campaign, were all used to build up a picture of German morale. The documents and information are very one-sided, presenting the negative accounts that were collated. Reading these accounts one can therefore see how the British High Command could have been buoyed by their content and spurred on to continue the campaign.